Dr. Kortney Ryan Ziegler is a renaissance man. 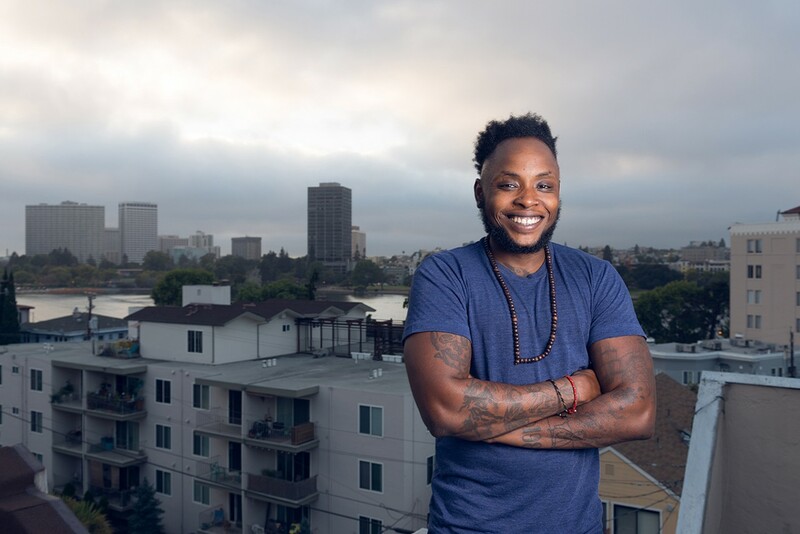 With notable contributions in film, academia, and business, the Lake Merritt resident effectively uses art and technology as a means of discussing diversity and social justice. Dr. Ziegler directed the acclaimed 2008 documentary STILL BLACK: A Portrait of Black Transmen. Through six profiles, the film presents a nuanced picture of the intersections of masculinity, blackness, and the experience of being transgender. "I was thinking about my own transition and wanted to share stories of other men like me," Ziegler said. "I think directing that film really helped make my time getting my PhD much more pleasurable." He continued, "I've been in school my whole life. I never planned on getting a PhD, but I was encouraged by my advisors while I was in a master's program at San Francisco State University." Ziegler was the first African-American to complete a PhD in African-American Studies at Northwestern University. But despite being an accomplished director and academic, he struggled to find employment after grad school. "It had been a year and a half out of my PhD program and I was still without a job.," said Ziegler. "I started to think, 'If I can't get a job with all my credentials, then a lot of folks [like me] must be struggling too.'" This led Ziegler to launch Trans*H4ck in 2013, a company that blends transadvocacy and technology. Ziegler had a growing interest in the tech industry, and saw an opportunity to create a network that could help serve trans folks who were struggling to find employment as well. "Trans*H4ck has set a new precedent and has started discussions in tech about trans representation," said Ziegler. "We do a lot of research about what trans representation actually looks like in tech." It started off as a trans hackathon — an event where large groups of computer developers get together and compete in collaborative programming. But Trans*H4ck has blossomed into a hub for trans folks in the tech industry. It includes a speaker series, meet ups, and thriving online culture — including a virtual conference happening on August 28. A serial entrepreneur, Ziegler also recently joined forces with Tiffany Mikell to form the educational technology startup BSMdotCo. Together, they've developed a platform called Aerial Spaces — a video-based forum that allows educators to organize and engage learners. Ziegler asserts that the tech industry has the power to break cycles of poverty that many Black and trans people fall into due to systemic oppression — simply by hiring them. 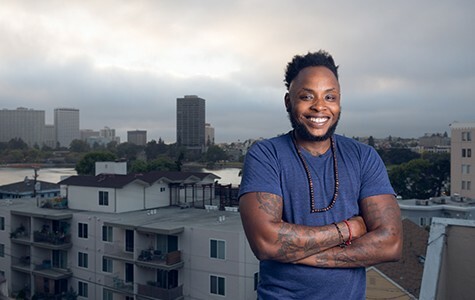 He's determined to make space for Black, queer, and trans folks to experience a different type of future — one in which they are seen in industry, media, and culture. "It's a future where I will have space to honor the things that bring me pleasure, happiness, and joy," he said. TransHack.org. Correction: The original version of this profile erroneously stated that Ziegler attended a master's program at Northwestern University. In fact, he attended San Francisco State University for his master's. Classic Brewmaster: Rodger Davis of Faction Brewing Co. Ships in the Night provides a space for queer and marginalized bodies to come together. The DJ is taking over the Bay Area's underground nightlife scene, and carving out safe spaces for trans women to celebrate themselves in the process.